With such a heavy emphasis in the media and the interest that cryptocurrencies have built in the last few years - it’s no surprise that a casino has popped up with the crypto-giant as the payment method. Keep your PayPal, debit or credit card - if you’re wanting to play with the big dogs, it’s time to really put your money where your mouth is… Or should that be bitcoin? 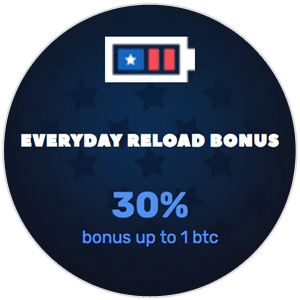 Reload Bonus up to 30% EVERYDAY! There’s a large lobby of slots which contain games from all over the web – whether it’s from BetSoft, Endorphina or Softswiss – so you’re always able to play at your favorites. Pick between Aztec Magic, Book of Pyramids, Brave Viking and so many more all under the same roof. There’s everything from blackjack, lottery, craps, poker and everything else that you’d expect from a regular online casino too if you’re not feeling the slots. Head over now to have a check out for yourself. If anonymity is more your style when it comes to gambling online – then you’re in with a little bit of luck. The crypto-currency is completely untraceable, meaning that you’ll be able to be up all night without anyone knowing it’s you. 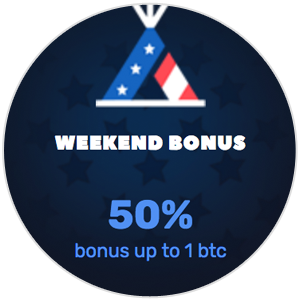 Bitcoin casinos also allow for very high betting limits, meaning high stakes and big bonuses – which we’re huge fans of. If you’re playing with bitcoin, it’s a safe bet that you’re in the mood for some big money wins. It’s also never been easier to move your currency around as bitcoin is not regulated by any centralised banks, meaning that it can be moved around much more freely – that means faster withdrawal time which means a bigger smile on our faces. 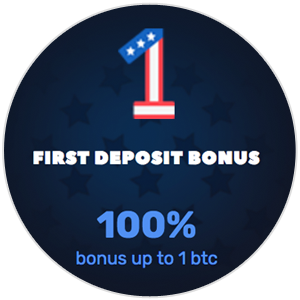 The main disadvantage when it comes to Bitcoin casinos may be the dealbreaker though and that is the issue of authenticity. 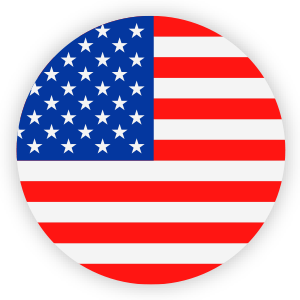 As there is no regulatory bodies in the sphere that is bitcoin, there is no organisation ready to regulate the sites. 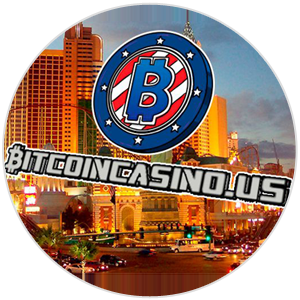 Although the sites – including bitcoincasino.us – attempt to prove safety and authenticity with the use of other apparent ‘trustworthy’ sites to vouch for them, it’s meaningless and essentially word of mouth. This makes it particularly difficult to give credibility to the site but without an approval from a licensing agency – we’d usually recommend to steer away. The online casino also fails to provide a company name, address or terms and conditions anywhere on the site. Although this may seem insignificant, when you’re chasing ghosts after you find a problem, you’ll be wondering why you didn’t cotton on sooner. Although it may be difficult to vouch for the site and you’re unlikely to be able to find them in person – you might be in with a shout to get in touch with the email and phone number options. There is a live chat for urgent assistance, but this has been reported to be a bit of a shambles when it comes down to it with the casino often offline when it actually matters. Not ideal when you’ve got so much money on the line. The verdict is simply to stay away from bitcoin based sites until a legal regulation can be enforced. Although there are benefits in anonymity within the sites, the risk as of current is not worth it in our eyes.